Professionals who process liquids with solid content can confidently turn to Phantom Pumps for low-cost industrial trash pumps, industrial sewage pumps and other industrial centrifugal pumps. Our high-quality line of self-priming pumps features pump models that can handle solid debris up to 3”. These trash pumps can be utilized in industrial applications such as flood water removal and wastewater treatment. In addition to our low pressure line, Phantom Pumps offers our PH Series Line filled with high-pressure equipment. Pump models in this line feature impeller diameters from 11” to 12-½” and self-priming heads ranging from 7’ to 25’. All of our PL and PH series pumps, DPUMPs and Slurry pumps are manufactured to the highest industry standards, and our products are assembled, tested and packaged in the United States to ensure our strictest quality controls are met. Better still, all of our pumps come with a one-year warranty. 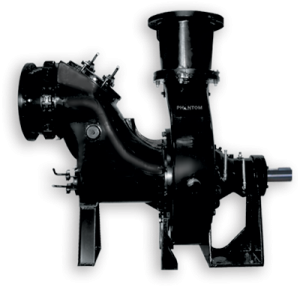 If you are unsure of which models are compatible with the industrial trash pumps, industrial sewage pumps, slurry pumps or other heavy duty pumps that are currently in use at your facility, do not fret. We provide cross-reference materials along with product assistance. Our team of engineers can review your current pump equipment and recommend the best pumping solution for your needs. Having cost-effective replacement pump parts on hand at your facilities in Florida, Alabama, Georgia, Ohio, South Carolina and nearby states can reduce downtime and repair costs if one of your pumps is worn out or breaks completely. Our ANSI parts are less expensive than genuine manufacturer parts, and our parts compatible for use with industrial trash pumps and other self-priming pumps manufactured by Gordon Rupp, Warman and other renowned manufacturers. Contact us today to request cross-reference assistance or receive a quote.